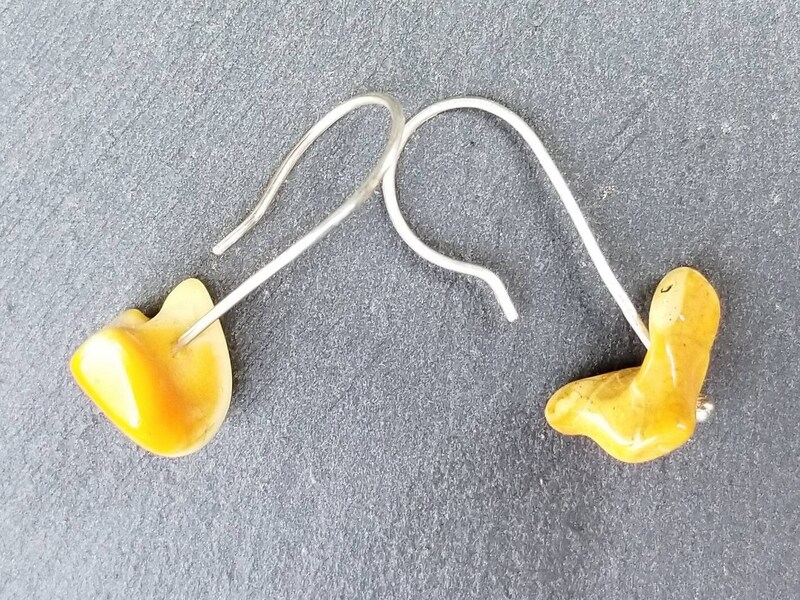 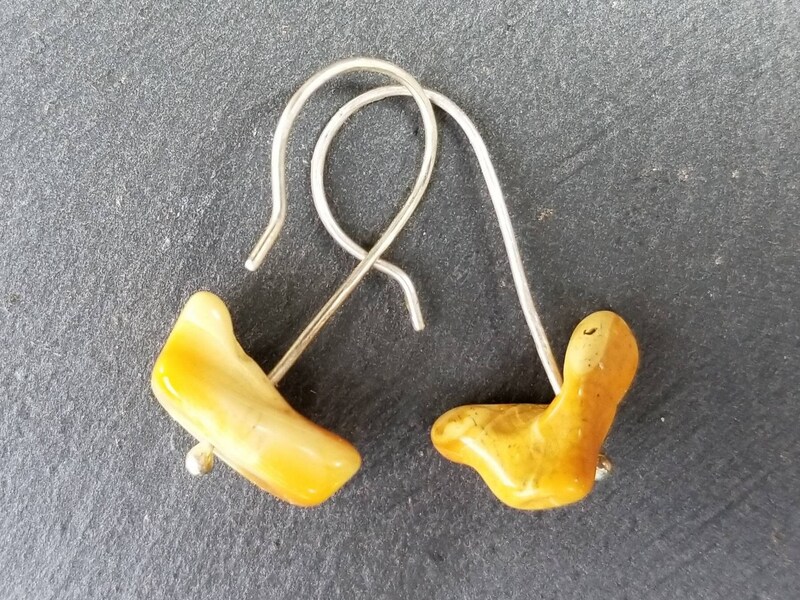 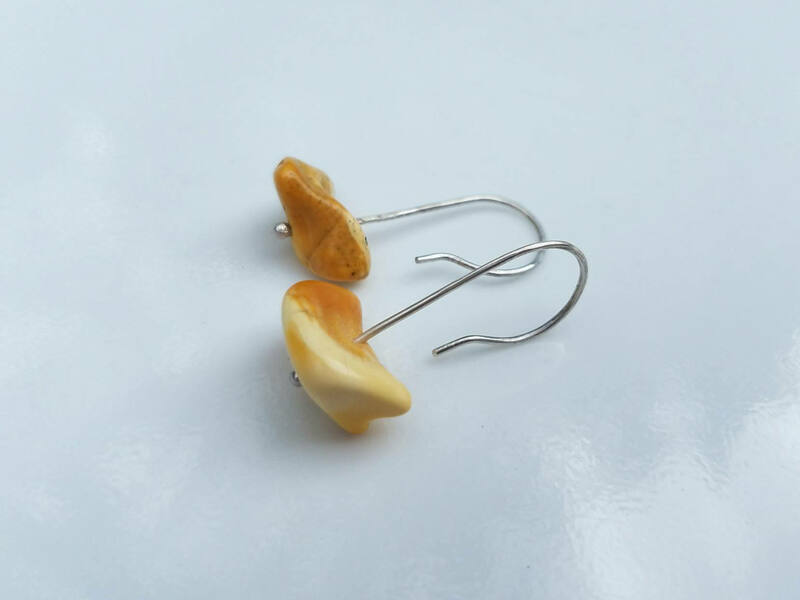 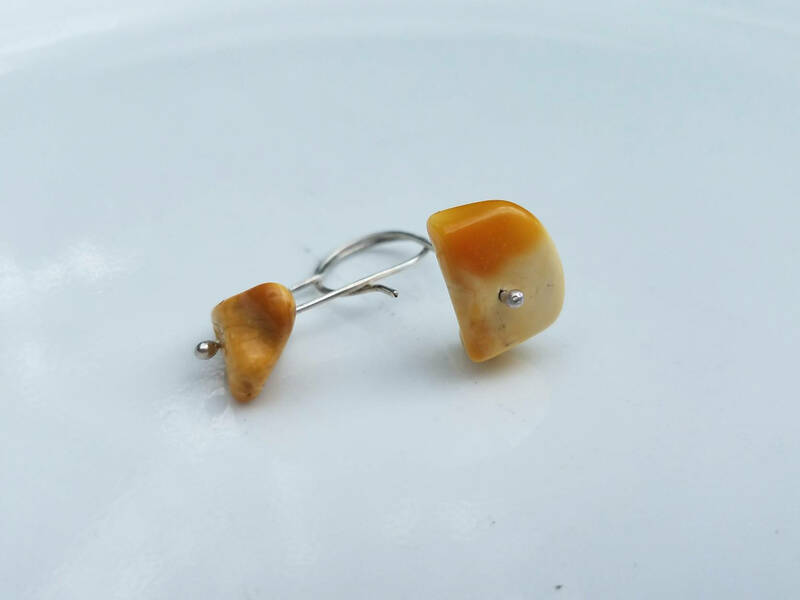 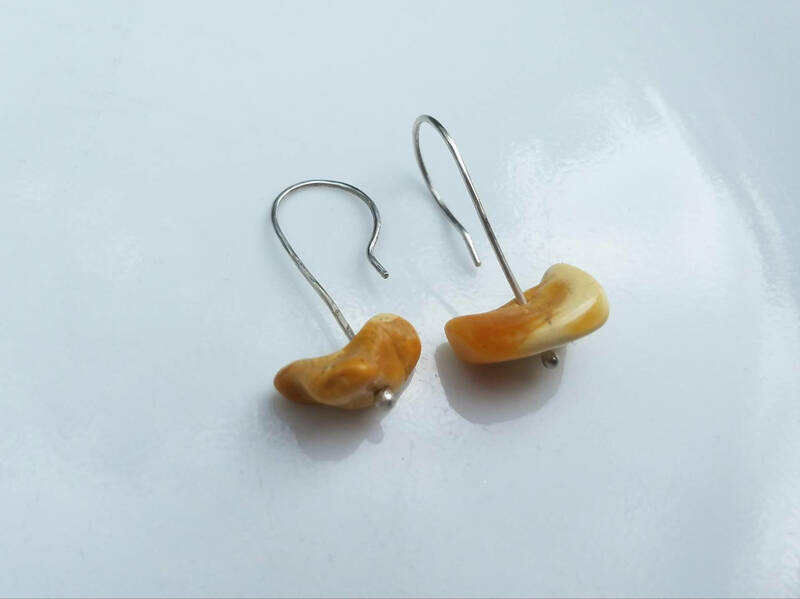 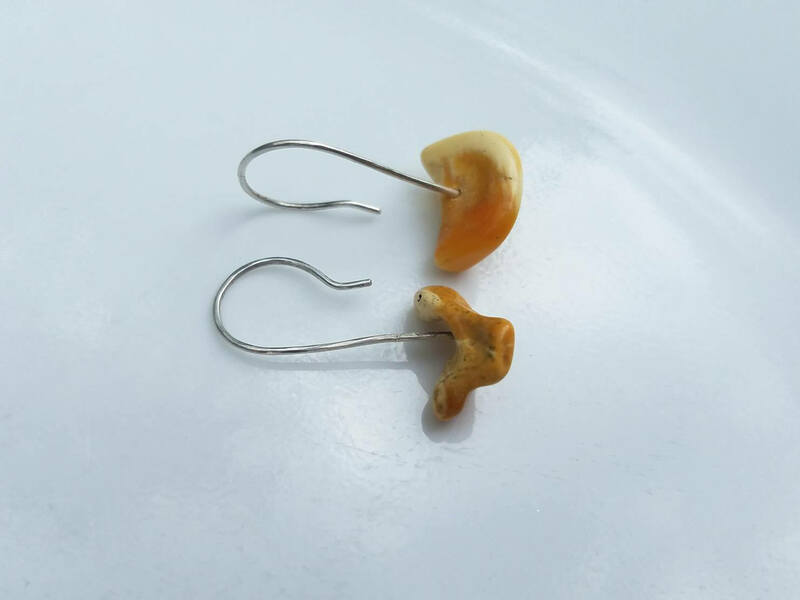 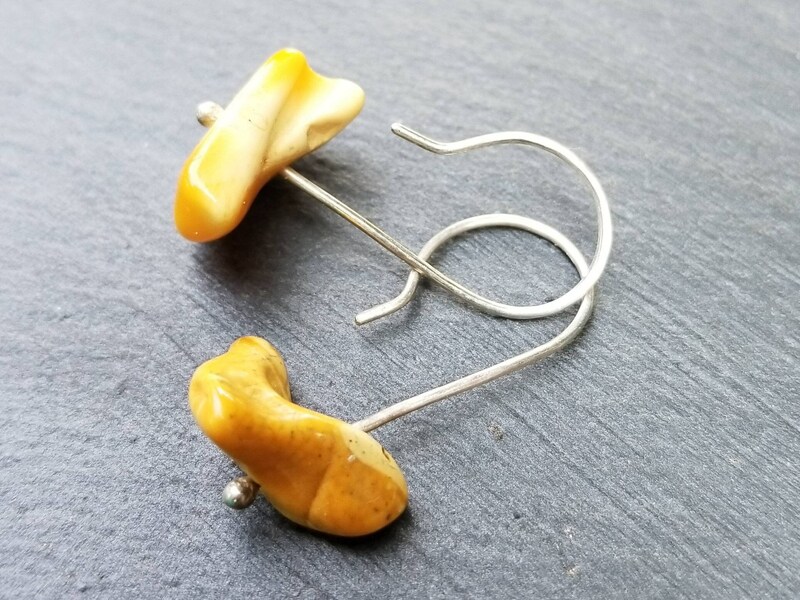 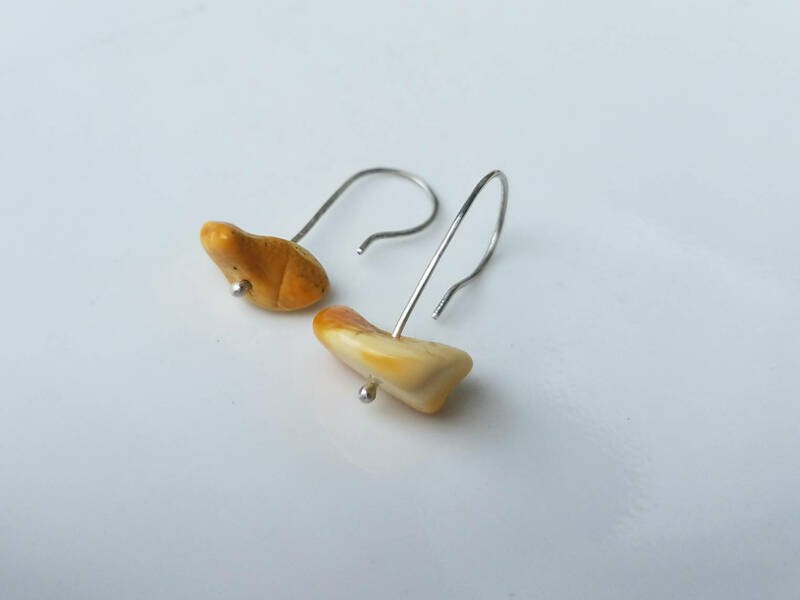 I created these earrings around the beautiful natural butterscotch amber nuggets. 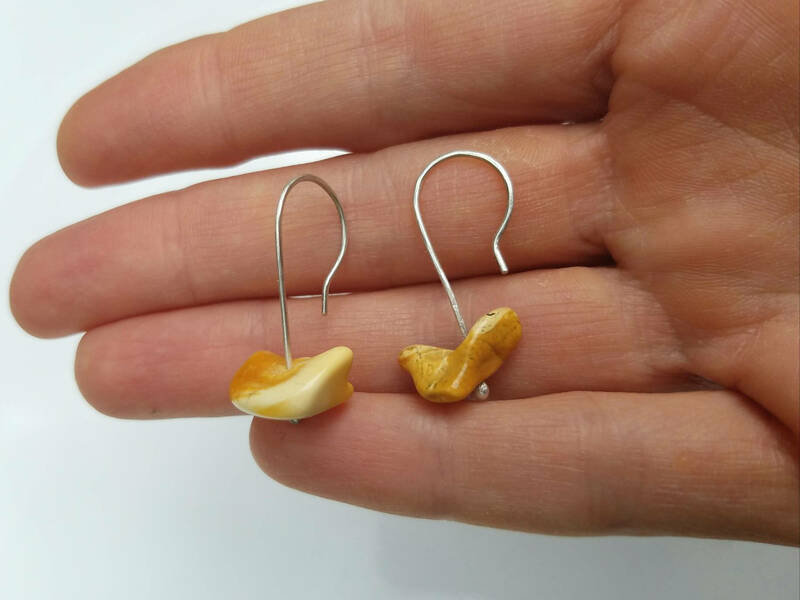 Each earring is unique, with a clean modern look. 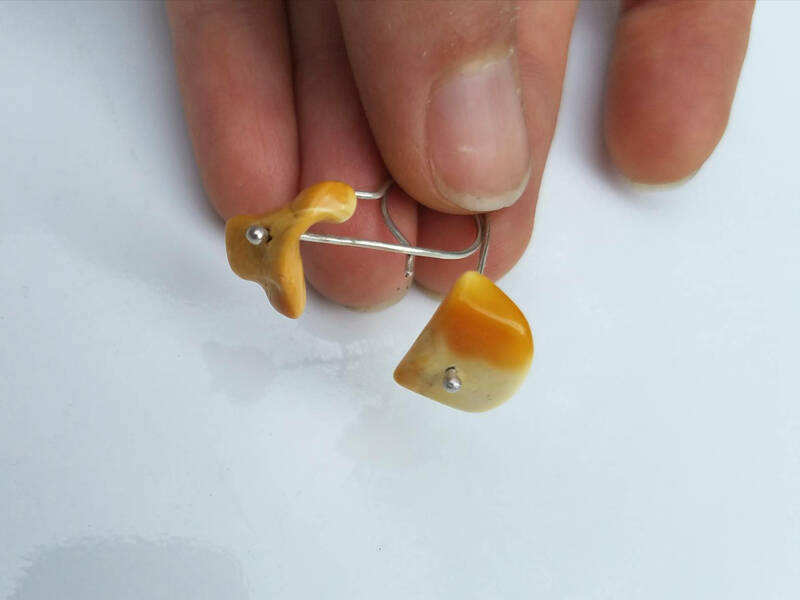 The earrings are approximately 1.25 inches tall, the ambers approximately 0.75 inches wide.